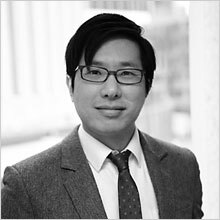 Ryan Wu is a partner at Capstone and leads the appeals and complex motions team. An expert in class and PAGA procedure, Ryan received the prestigious California Lawyer Attorney of the Year (CLAY) award for the landmark decision Iskanian v. CLS Transportation Los Angeles, 59 Cal.4th 348 (2014). In recent years, Ryan has achieved several important victories for consumers and workers before the California Supreme Court, including McGill v. Citibank, N.A., 2 Cal.5th 945 (2017) (protecting California consumers’ right to pursue public injunctive relief), and Williams v. Superior Court (Marshalls of CA LLC), 3 Cal.5th 531 (2017) (authorizing PAGA plaintiffs to obtain statewide discovery). Ryan spearheads the firm’s thriving amicus practice, working with non-profit organizations, academics, and other interested parties on high-impact appeals. He also handles high-stakes fee disputes and supervises settlement approval for the firm. Ryan graduated from the University of Michigan Law School in 2001, where he was an associate editor of the Michigan Journal of Law Reform and contributor to the law school newspaper. He received his undergraduate degree in political science with honors from the University of California, Berkeley. He began his career litigating international commercial disputes. Ryan is co-author of “Williams v. Superior Court: Employees’ Perspective” and “Iskanian v. CLS Transportation: Employees’ Perspective,” both published in the California Labor & Employment Law Review. He has been a presenter for Stafford and a featured guest on the weekly Daily Journal podcast. Ryan is admitted to practice law in California and before the United States District Court for the Northern, Eastern, Central, and Southern Districts of California and the United States Court of Appeals for the Third and Ninth Circuits. He is fluent in Mandarin Chinese.